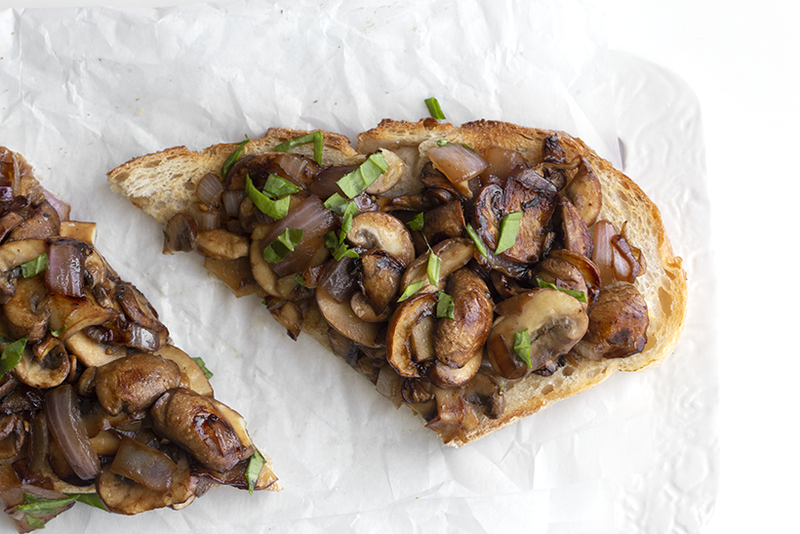 I made this Savory Mushroom Toast for lunch the other day and it was just delicious! The recipe is for a project I am working on that I cannot wait to share with you guys in the next month or so. But this recipe was just too good - I had to share it now. 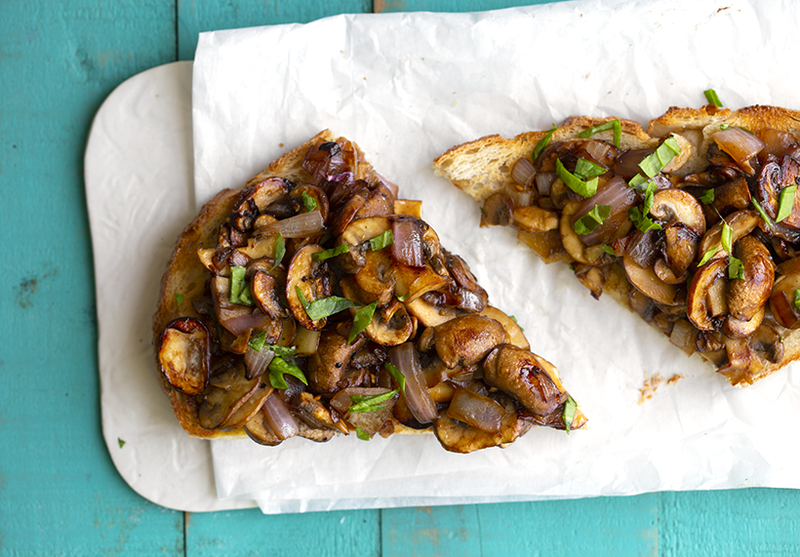 Because you totally need mushroom toast on your menu this week. Make it a Meal. 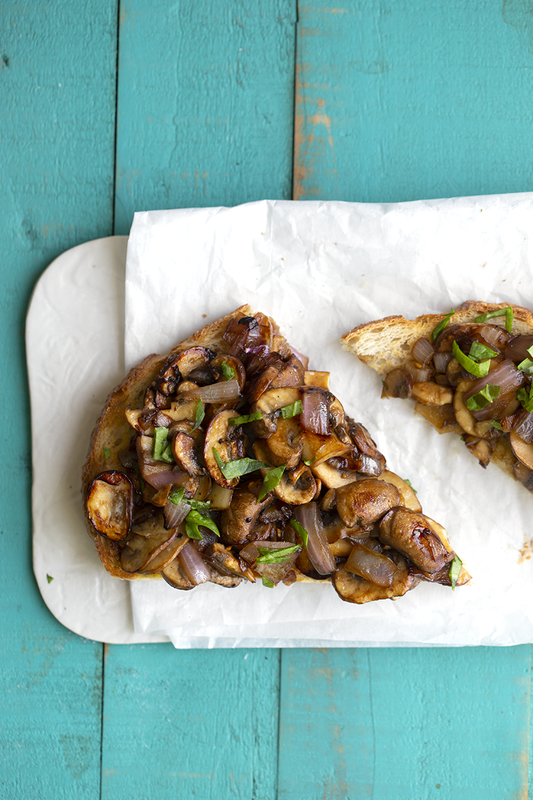 Serve this toast with a side of soup or salad, or all on it's own. Split it with a friend - or devour it all on your own. If you want a fun spin on things, you could actually make the first layer of this toast as either hummus or smashed avocado. Or keep things simple like I did, and spread some vegan butter on your toast. - herbs - fresh or dried. Rosemary and thyme are perfection. - vegan butter - yes yes yes, so good. - salt and pepper - bonus points if you use truffle salt - swoon. 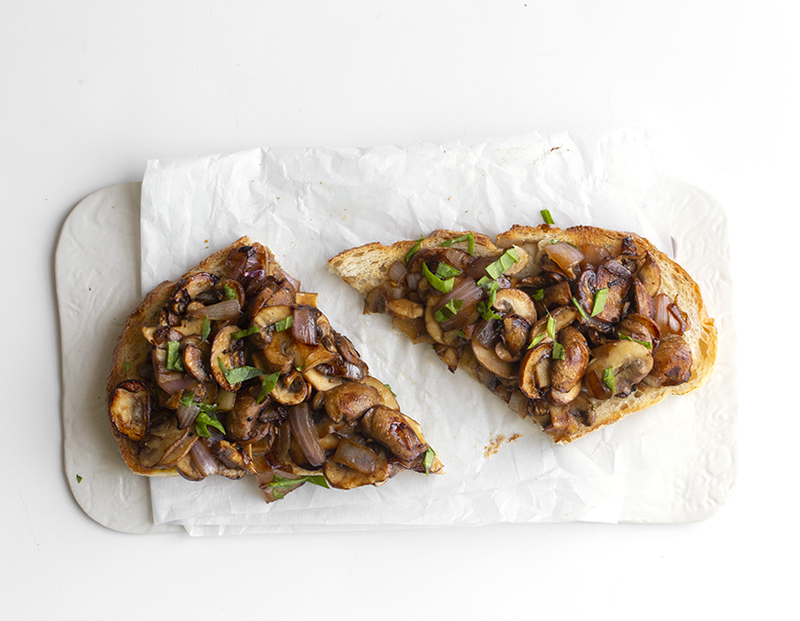 This easy mushroom toast has savory flavors of mushroom, garlic and vegan butter. Serve on your favorite bread! Warm up a skillet over high heat. Add in the olive oil. 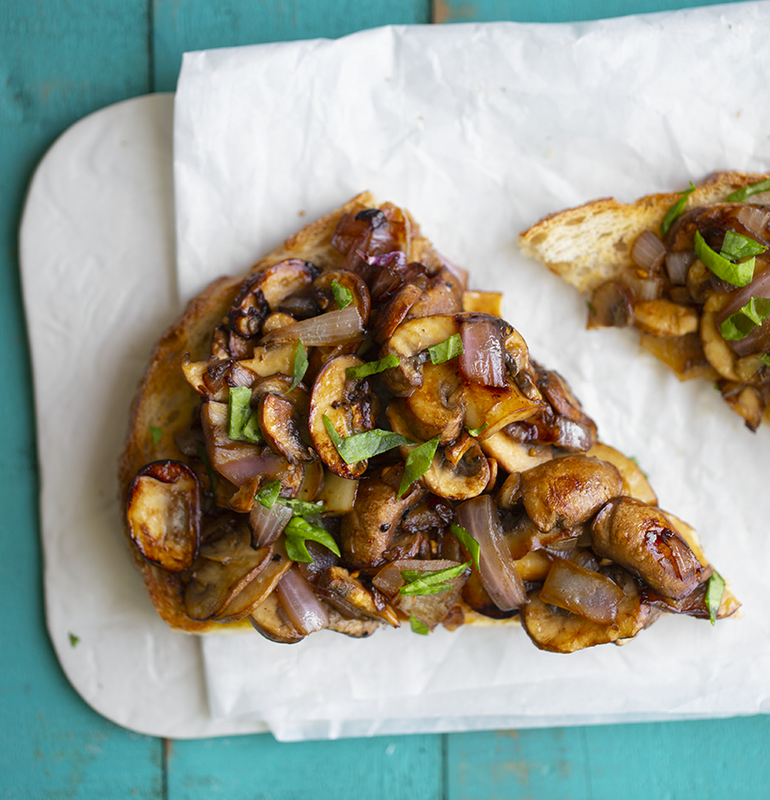 When oil is hot, add the mushrooms and onion. Saute for 2-3 minutes, until tender. Add in the garlic and salt and pepper to taste. Add any chopped dried herbs here as well - link minced rosemary or a pinch of thyme. Saute the mushrooms with the added ingredients. Turn heat back on and turn to high for a minute or so. Things will be sizzling and steamy at this point. This is when you really want to see the mushrooms caramelizing and browning on the edges. The longer you cook them, the more you will see the lovely browned color forming and the flavors really developing as the moisture cooks off even more. 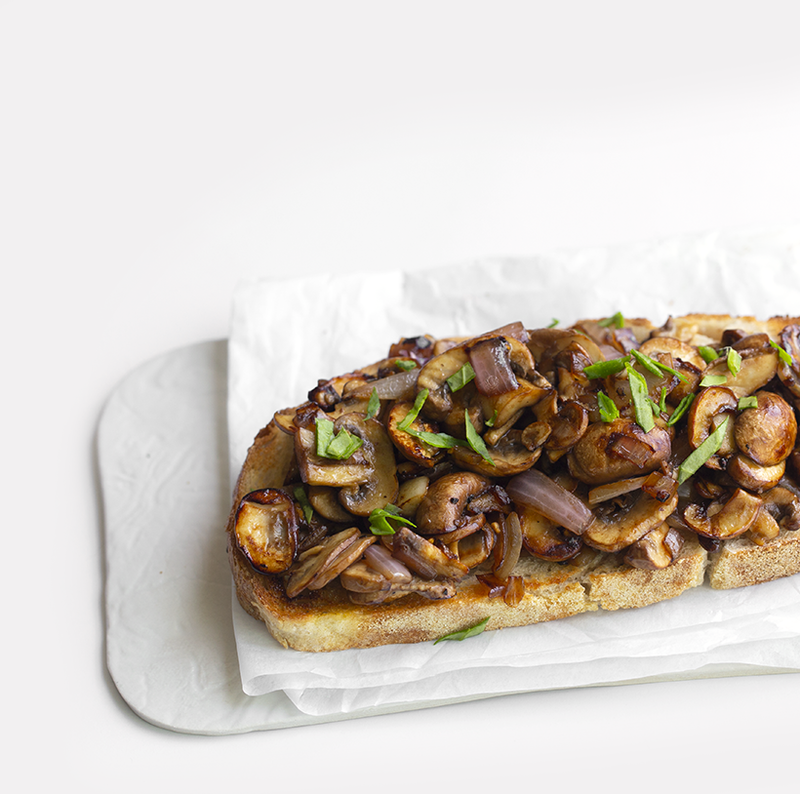 Taste a mushroom and adjust salt/pepper to taste. If desired, fold in a handful of chopped greens like spinach or kale. Turn off heat. Toast bread. Add either vegan butter or hummus to the bread. 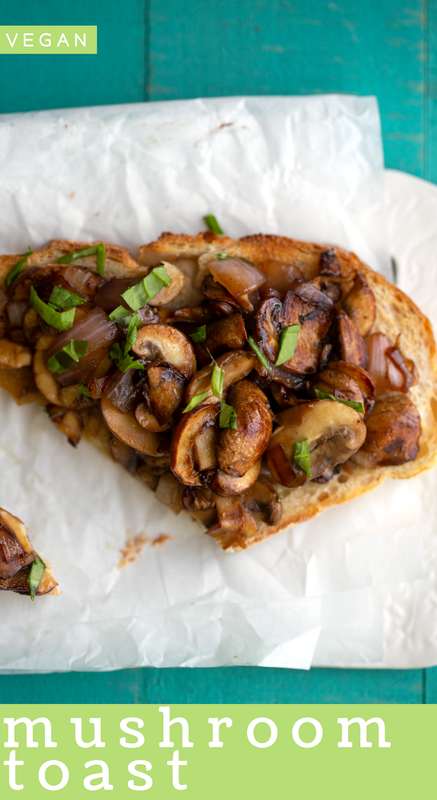 Top bread with a plentiful amount of mushrooms - as many as you can cram on the slice. Top with optional chopped herbs or a pinch of chopped greens like spinach or kale. Serve!